Kiwi plants are usually propagated asexually by grafting fruiting varieties onto rootstock or by rooting kiwi cuttings. 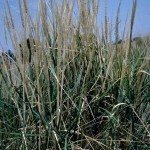 They may also be propagated by seed, but the resulting plants are not guaranteed to be true to the parent plants. Propagating kiwi cuttings is a fairly simple process for the home gardener. 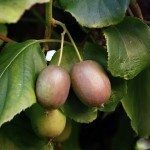 So how to grow kiwi plants from cuttings and when should you take cuttings from kiwis? Read on to learn more. As mentioned, while kiwi may be propagated by seed, the resulting plants are not guaranteed to have the desirable traits of the parent such as cane growth, fruit shape or flavor. Root cuttings are, thus, the propagation method of choice unless breeders are trying to produce new cultivars or rootstocks. Also, seedlings started from seed take up to seven years growth before their sexual orientation can be determined. While both hardwood and softwood cuttings can be used when propagating kiwi cuttings, softwood cuttings are the better choice because they tend to root more uniformly. 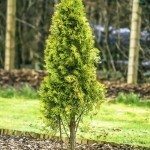 Softwood cuttings should be taken from mid to late summer. Growing kiwi from cuttings is a simple process. Choose softwood of about ½ inch in diameter, with each cutting 5-8 inches in length. Snip softwood shoots from the kiwi just below the leaf node. Leave a leaf at the top node and remove those from the lower portion of the cutting. Dip the basal end of the cutting in root growth hormone and set it in a coarse rooting medium or equal portions of perlite and vermiculite. Keep the rooting kiwi cuttings moist and in a warm area (70-75 F. or 21-23 C.), ideally a greenhouse, with a misting system. Rooting of the kiwi cuttings should occur in six to eight weeks. 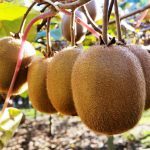 At that time, your growing kiwis from cuttings should be ready to transplant into 4-inch deep pots and then returned to the greenhouse or similar area until the plants are ½ inch across and 4 feet tall. Once they have attained this size, you can transplant them into their permanent location.